OKLAHOMA CITY, Okla. – The Sacramento River Cats won game three of their four game series with the Oklahoma City Dodgers Thursday evening 5-4. The third consecutive win secures Sacramento a series victory heading into the finale tomorrow. The River Cats were backed by multi-hit games from four different players and another dominant starting pitching performance, this time by Clayton Blackburn. The River Cats have shown consistent hitting in this series, especially in clutch situations. 13 of Sacramento’s 18 runs scored this series have been with two outs. Casey McGehee, Travis Ishikawa, Adam Duvall, and Carlos Triunfel all recorded multi-hit games tonight. Casey McGehee has five multi-hit games in his seven-game hit streak and Ishikawa extended his hitting streak to five games, three of which were multi-hit games, as well. The River Cats struck early, getting on the board first for the fifth consecutive game. Adam Duvall got things started with a single, and Jarrett Parker hit his seventh double of the season to set the stage for an early lead. Hector Sanchez grounded out to bring home Duvall, and Triunfel followed with a single to drive in Parker. Oklahoma City answered back in their half of the inning with an RBI triple, but Clayton Blackburn limited them to just the one run. The River Cats never relinquished their early lead, adding three more runs, one in each of the fifth, sixth, and seventh innings. Despite a run in the fifth inning and a two-run double from Oklahoma City in eighth, the River Cats held on for the win. Clayton Blackburn excelled on the mound tonight, preventing the Dodgers from tying the game multiple times. He pitched 7 innings, allowing 2 runs on 8 hits and 1 walk with 3 strikeouts. Much like in his last two starts, Blackburn consistently got ground balls when he needed them most. His record for the season moves to 2-3 with a 4.50 ERA. The series finale is set for tomorrow at 5:05 p.m, (PT). 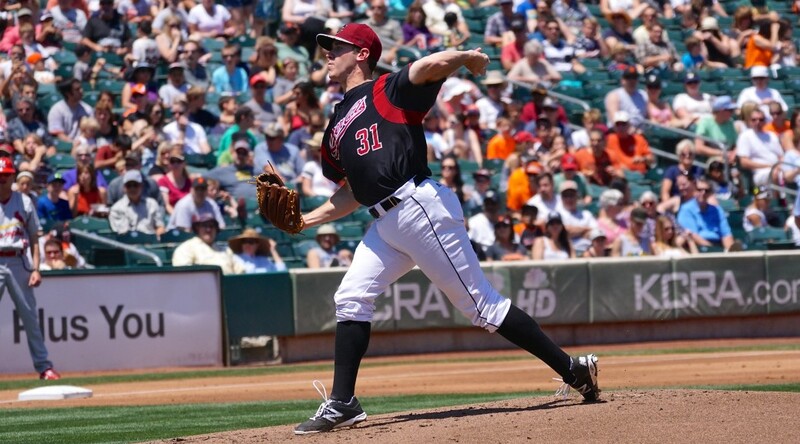 The River Cats will send RHP Chris Stratton (0-0, 0.00) to the mound to face the Dodgers’ RHP Scott Baker (4-3, 4.67). Stratton began the year in Double-A Richmond and was transferred to Sacramento after the departure of veteran starters Kevin Correia and Robert Coello. He was originally drafted by the San Francisco Giants in the first round (20th overall) of the 2012 First-Year Player Draft out of Mississippi State University. Stratton’s Double-A record for the 2015 seasons is 1-5 with a 4.14 ERA. Following tomorrow’s game, Sacramento will return home to Raley Field for a four-game series with the Tacoma Rainiers. OKLAHOMA CITY, Okla. – Ty Blach took the mound Wednesday night and dominated the Oklahoma City Dodgers, shutting them out through eight magnificent innings. A first-inning home run from Juan Perez gave Blach and the Sacramento River Cats an early lead, one they would never give up on their way to a 7-3 win over the Dodgers. Blach was lights out in his 11th start of the season, pitching 8+ innings while allowing 2 runs on 8 hits and striking out 7. He kept the Dodgers off balance all night, mixing his fastball and a devastating change up to continuously get ahead of batters. His command was on point, as he threw 74 of his 105 pitches for strikes and for the sixth time this season, Blach did not walk a single batter, further improving on his PCL best 0.89 BB/9. Blach’s 8 innings pitched is the most thrown by any River Cats pitcher this season. Juan Perez led off the game for the River Cats, and wasted as little time as possible as he hit the second pitch of the game over the left field fence to give his side an early lead. It was the first leadoff home run by a River Cat since July 22, 2013 (Jemile Weeks). Perez finished the game 2-for-3 with 2 RBI, 2 walks, and 2 runs scored. 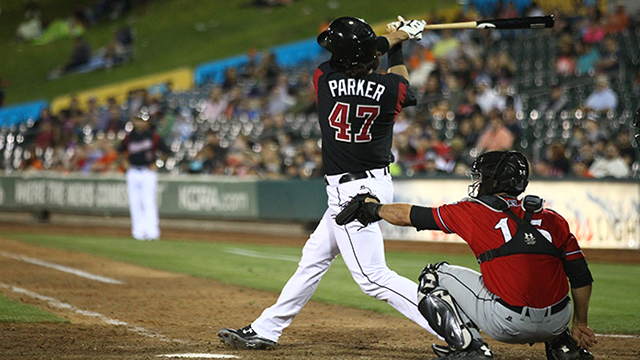 Sacramento added to their lead in the fourth inning when Jarrett Parker hit an RBI single to center, making it 2-0 River Cats. The base hit was the 500th of Parker’s minor league career. In the fifth, the River Cats added two more thanks to a two-out bases-load single by Travis Ishikawa. The River Cats padded their lead in the eighth, as Perez, Kevin Frandsen, and Casey McGehee all contributed RBIs to push their lead to 7-0. The Dodgers would counter in the ninth, as O’Koyea Dickson drove in their first run of the game, making the score 7-1 and knocking Blach out of the game. Oklahoma City would add two more on a home run by Andy Wilkins, but that would be all they could push across. OKC starter Matt Shelton didn’t have a chance against Blach, and threw just 4 innings while allowing 2 runs (all earned) on 3 hits, walking 1 and striking out 2. The Dodger bullpen had to put in extra work, combining for 5 innings of relief, allowing 5 runs (all earned). The River Cats will look for their third straight win on Thursday as they send right-hander Clayton Blackburn (1-3, 4.32) to the hill. 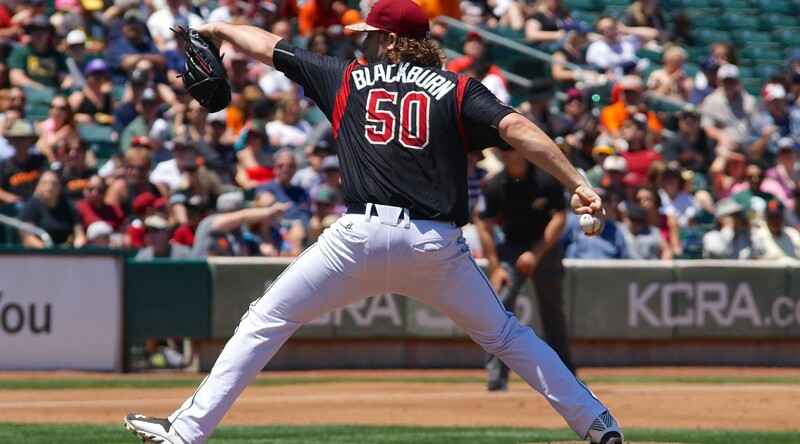 Blackburn enters the start with the second best WHIP on the Sacramento starting rotation at 1.44. Opposing him will be righty Deck McGuire (1-1, 1.98). First pitch is scheduled for 5:05 p.m (PT). 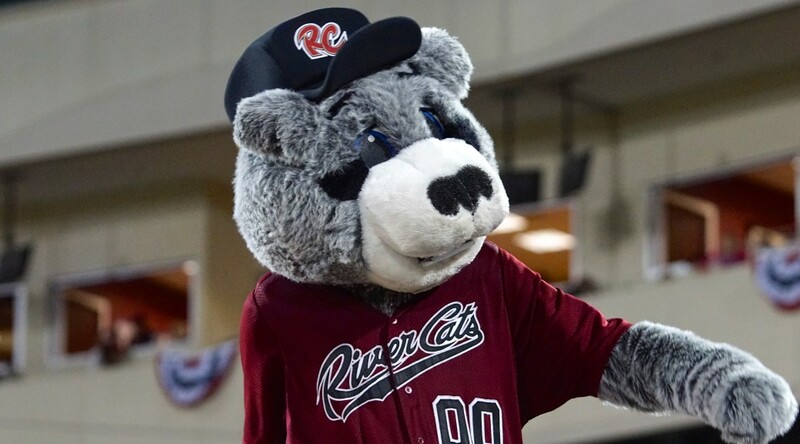 OKLAHOMA CITY, Okla. – After getting out to an early lead, the Sacramento River Cats took the series opener against the Oklahoma City Dodgers 3-2 Tuesday night. Three runs in the very first inning were enough as Sacramento hung on thanks to a solid return to Triple-A from Nik Turley and a strong finish by the bullpen. The River Cats got out to an early 3-0 lead with help from singles by Darren Ford and Casey McGehee. Travis Ishikawa drove home Darren Ford on a single of his own, and Juan Perez soon followed with a two-run single to bring home McGehee and Ishikawa. The Dodgers scored a run in their half of the inning, and one again in the seventh, but the River Cats’ pitching came through late to nail down the series opener. After being designated for assignment by the San Francisco Giants, both McGehee and Ishikawa ended up in Sacramento and are trying to work their way back, using tonight as a platform to prove they’re worthy of a spot on the Giants’ roster. McGehee went 2-for-4 with a single and a double. Ishikawa went 1-for-3 with a walk and an RBI-single. Kevin Frandsen made his debut as a River Cat in tonight’s game after signing a minor league contract with the Giants over the weekend. The Giants originally drafted him in the 12th round of the 2004 amateur draft. Frandsen went 2-for-3 with two singles against the Dodgers Tuesday evening. Tonight was Nik Turley’s first game back pitching for the River Cats and he did not disappoint. After 37 games on the Disabled List with a blister issue, he made one start with Class-A Advanced San Jose before being transferred back to Sacramento. Turley pitched 6 solid innings tonight in just his second start of the season with the River Cats, allowing 1 run on 5 hits and 2 walks with 4 strikeouts. Cody Hall picked up Turley in the seventh inning and, despite allowing an unearned run, kept Sacramento’s lead. Erik Cordier relieved Hall in the middle of the eighth inning to get the River Cats out of a jam unscathed. Mike Broadway pitched a shutout ninth inning, recording his fifth save in as many tries. The bullpen combined for 3 innings, allowing just 1 run on 3 hits and 2 walks with 2 strikeouts. Game two of the series will continue tomorrow, with the River Cats sending LHP Ty Blach (4-5, 3.82) to the mound to face the Dodgers’ RHP Zach Lee (5-3, 2.38). Blach’s 1.03 BB/9 is the second best in the PCL behind Oklahoma City’s Scott Baker. First pitch is set for 5:05 p.m. (PT). COLORADO SPRINGS, Colo. – The Sacramento River Cats and Sky Sox both sent bullpen arms to the mound to start Monday’s matinee finale in Colorado Springs. Looking for their first series win since late April, the defense again stumbled, committing their eighth error of the series as the River Cats fell 5-3 to the Sky Sox. Veteran righty Juan Gutierrez took the mound for the River Cats, making his first start of the season. Gutierrez had appeared in 13 games for Sacramento prior to today’s game, posting an 0-1 record with one save and a 4.94 ERA. He was excellent for the River Cats filling in as a starter, tossing 3 scoreless innings, allowing just 1 hit and 1 walk while striking out 2. He threw 39 pitches in the start, 25 for strikes, and recorded five ground ball outs. His opponent was fellow right-handed reliever Tim Dillard. Dillard, who was also making his first start of the season, went 4 innings, allowing 3 runs on 5 hits and 3 walks while striking out 2. The River Cats struck first, jumping ahead in the second inning on a towering three-run home run from Casey McGehee. The homer was his second in the last two games and one of three hits on the afternoon. It was a strong end to the series for McGehee, who hit .500 (8-for-16) with 2 walks, 3 runs, 2 home runs, a double, and 6 RBIs over the four games. The Sky Sox took the lead in the fourth, though, scoring five times off reliever Curtis Partch to go ahead by two. The big hit in the inning came from Colorado Springs’ pinch-hitter Chris Nelson. With the bases loaded, Nelson – who came into the at bat hitting just .158 in his last ten games (3-for-19) roped a bases-clearing double down the right-field line. Four of Colorado Springs’ runs in the inning were unearned as Adam Duvall committed his team-leading 10th error of the season on a throw to first. 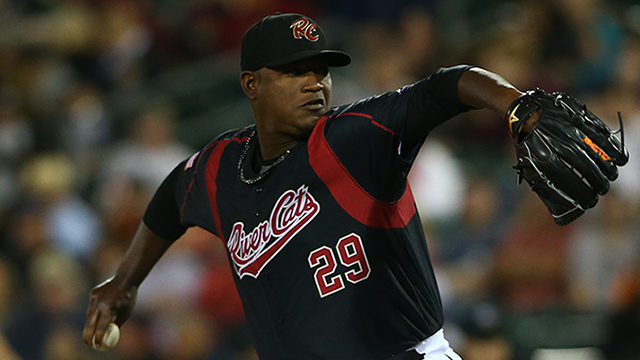 In the series, the River Cats committed eight errors and surrendered 11 unearned runs. The River Cats were unable to generate a comeback as the Sky Sox bullpen limited them to just three hits over the final five innings. Jarrett Parker, who started the day with 499 career hits, was 0-2 with two walks on the afternoon, postponing the milestone for at least another game. The River Cats are now 23-29 and will head to Oklahoma City to take on the OKC Dodgers. The Dodgers are 34-15 heading into their game tonight and are in first in the American Northern Division. Nik Turley (0-1, 13.50) will kick things off for the River Cats. The Dodgers will counter with right-hander Joe Wieland (4-1, 5.45). First pitch is 5:05 p.m. PDT. The game can be heard live online at rivercats.com and will join in progress at 6:00 p.m. on ESPN 1320. COLORADO SPRINGS, Colo. – The Sacramento River Cats took game two of their four-game series with the Colorado Sky Sox 4-3, ending their 10-game losing streak. A three-run sixth inning and a dominant showing by the bullpen put the River Cats over the edge. The River Cats fell behind 2-1 early, but kept things close through the first five innings. In the sixth, they scored three runs to take their first lead of the game. A single by Casey McGehee led off the big inning, and a single from Hector Sanchez brought home McGehee to tie the game up. Both Jarrett Parker and Juan Perez drew consecutive walks, loading the bases. Carlos Triunfel’s single scored Sanchez and Parker to give the River Cats a 4-2 lead. That would be enough, as the bullpen held the line en route to a 4-3 win. The Colorado Sky Sox got on the board first with a two-run double by starting pitcher Josh Roenicke in the fourth. The River Cats immediately responded back in the fifth, leading off the inning with a double by Juan Perez. A wild pitch from Roenicke allowed Perez to score Sacramento’s first run of the game. Clayton Blackburn pitched in and out of jams all night, but the Sky Sox got the best of him in the fourth inning. Blackburn appeared to have grip issues, which led to him having trouble finding the strike zone, throwing more pitches, and possibly contributing to his throwing error. Blackburn pitched just 3.2 innings, allowing 2 runs on 4 hits and 3 walks with 1 strikeout. He threw 75 pitches, 43 for strikes. Clay Rapada picked up Blackburn, getting the last out of the fourth without allowing any more damage. Cory Gearrin, Brett Bochy, Steven Okert, and Cody Hall combined to pitch the rest of the game, allowing just one run over 5.1 innings. They struck out a total of six while walking just two. Gearrin (1-0, 1.23) picked up his first win of the season. Hall recorded the save for Sacramento, also his first. Tonight’s win is the River Cats’ first since 5/18 when they beat the Albuquerque Isotopes on the road, 12-5. Over the last 10 games, the River Cats were outscored 32-63 and committed 15 errors. The 10-game streak is also the longest in franchise history. Game three of the series will bring RHP Robert Coello (5-3, 3.45) to the mound for the River Cats, while Colorado will counter with RHP Drew Gagnon (1-6, 7.78). Coello pitched 5 innings in his last outing, allowing 2 runs on just 3 hits. His five wins are tied for second in the PCL heading into Sunday’s contest. First pitch is set for tomorrow at 12:35 p.m. (PT).